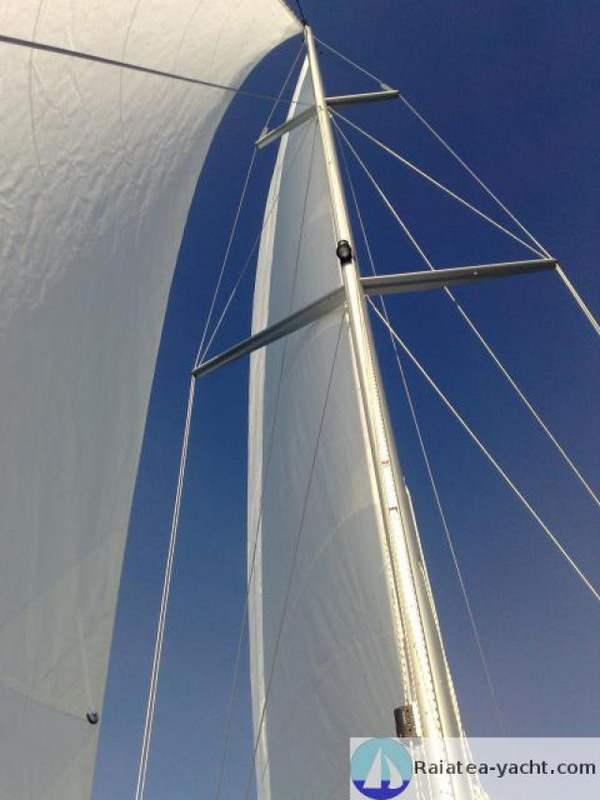 Available now in the Atlantic. 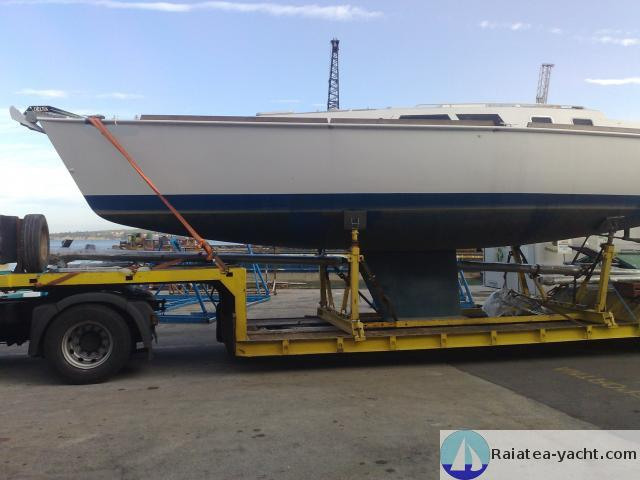 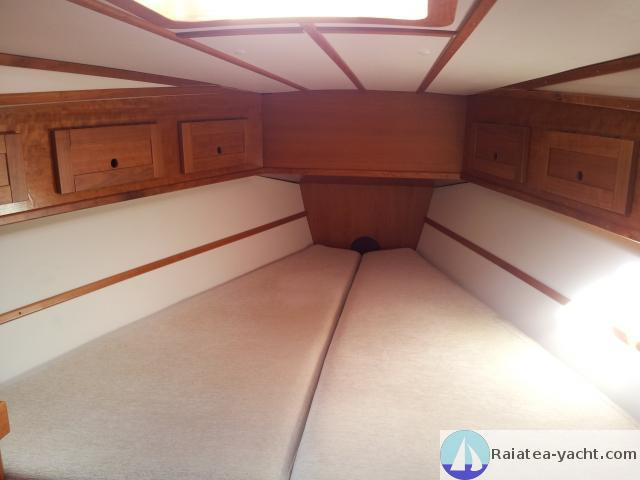 Keel aluminium sailboat, very meticulously made fittings. Ready to sail. 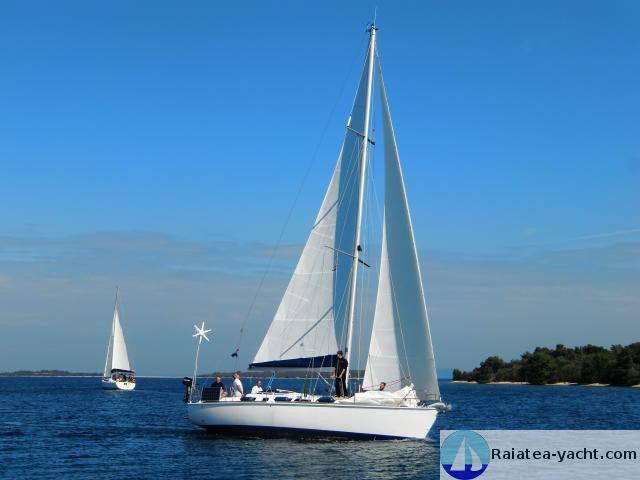 for beautiful and fast yachts lovers. 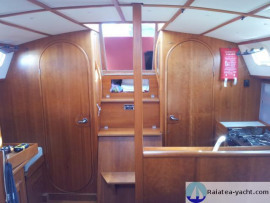 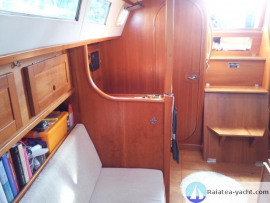 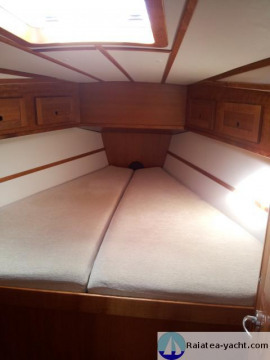 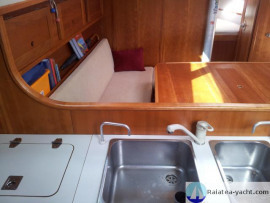 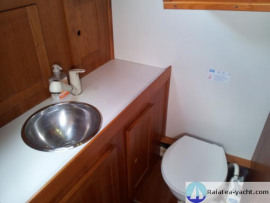 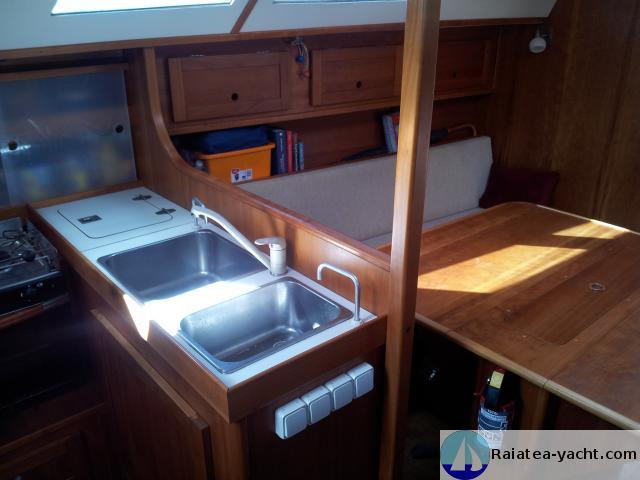 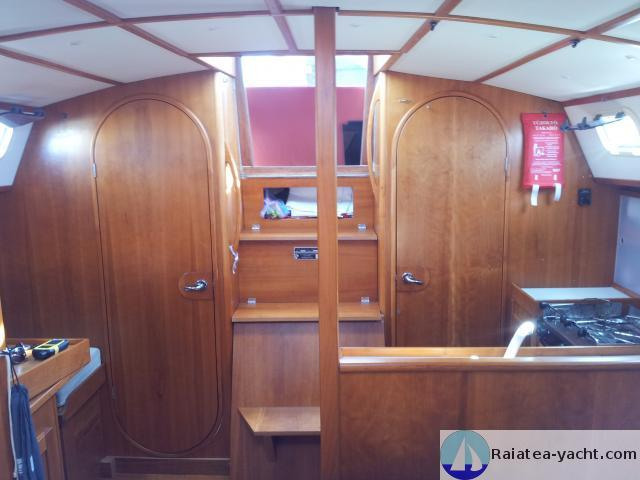 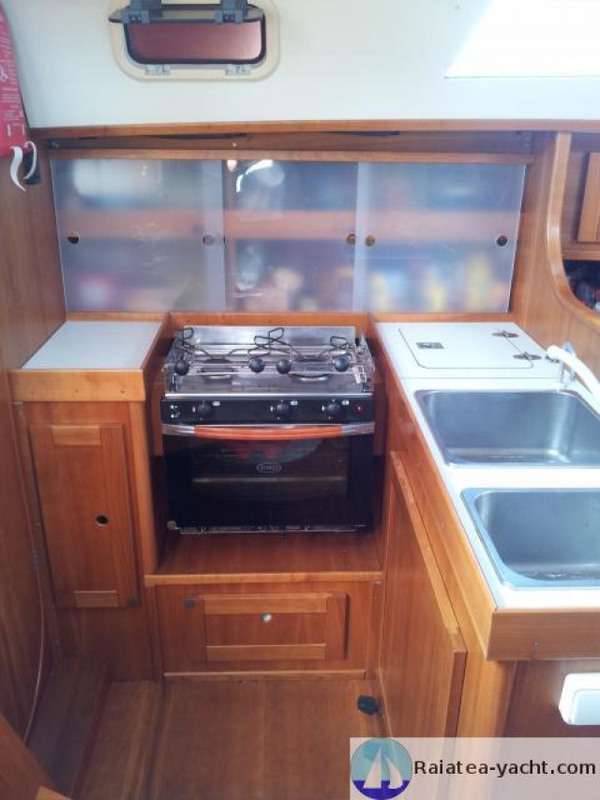 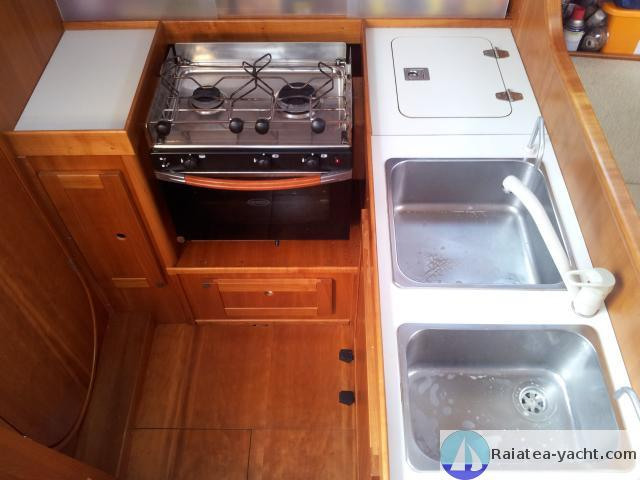 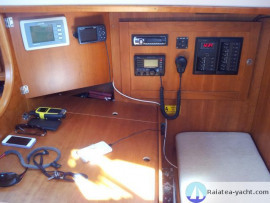 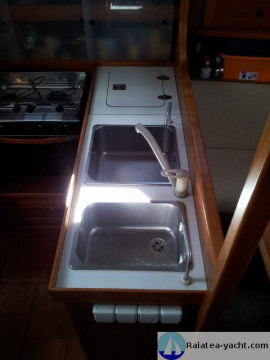 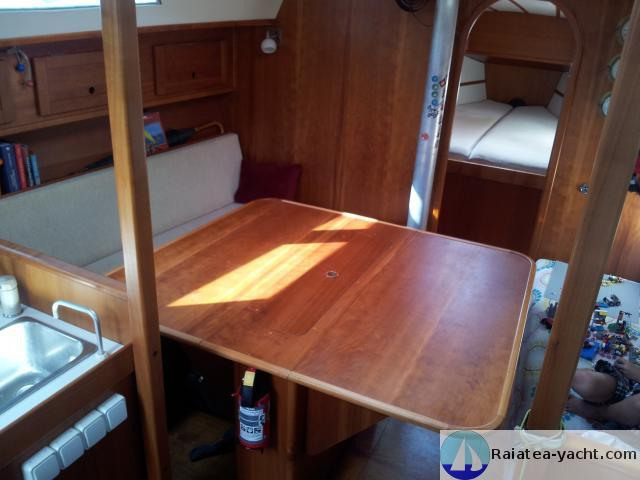 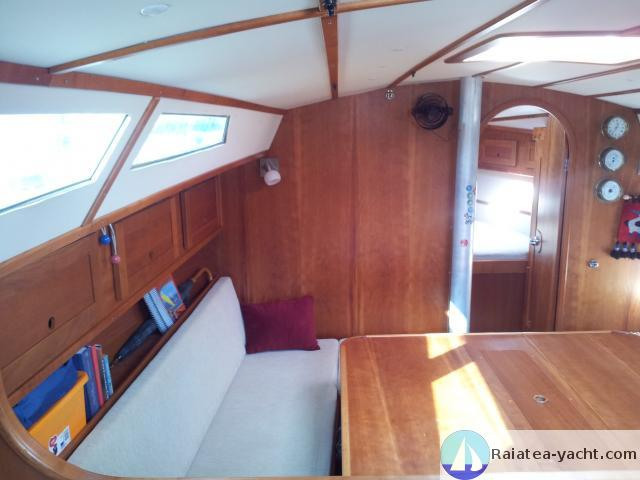 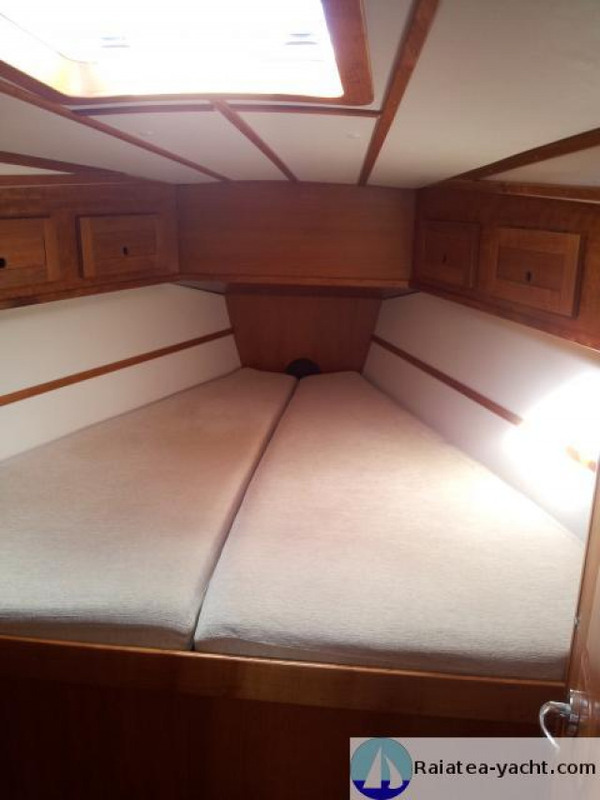 Spacious saloon, setties can be used as berths, the table, lowered, converts into a double bed. Keel aluminium sailboat, FORNA 37 type, built after a plan by Van De Stadt and launched in August, 2011. Fast on every point of sail, she's a dependable boat, efficient, and gives much pleasure when steering with the tiller. 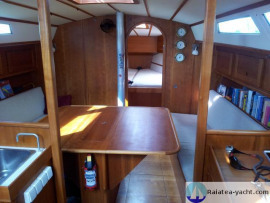 A large cockpit, two cabins, and a great saloon for the comfort, everything is simple and high-quality. 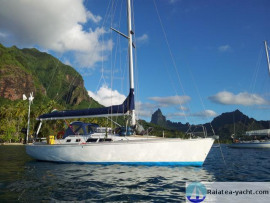 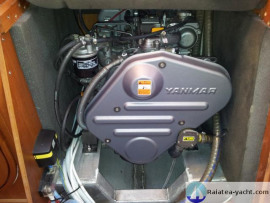 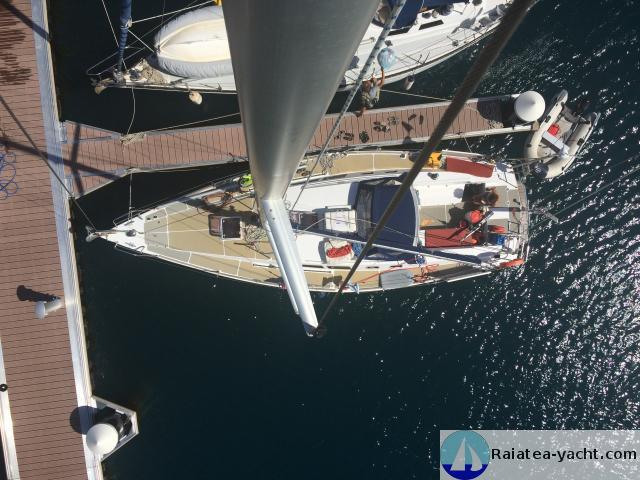 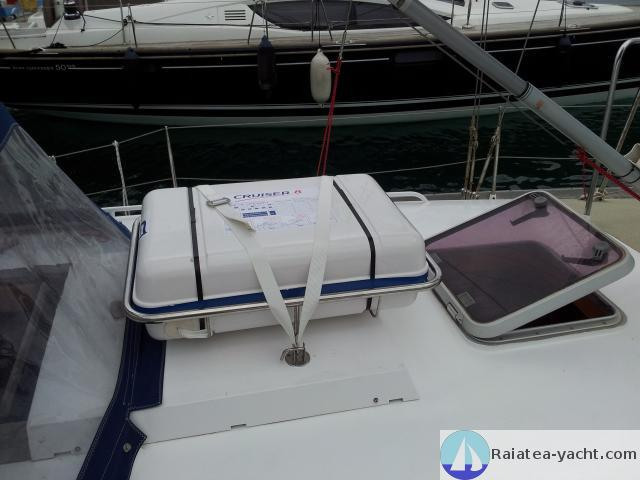 First-hand and always maintained with the greatest care, she's in excellent condition, for fast sailboats lovers. The owner of this particular vessel is her builder. 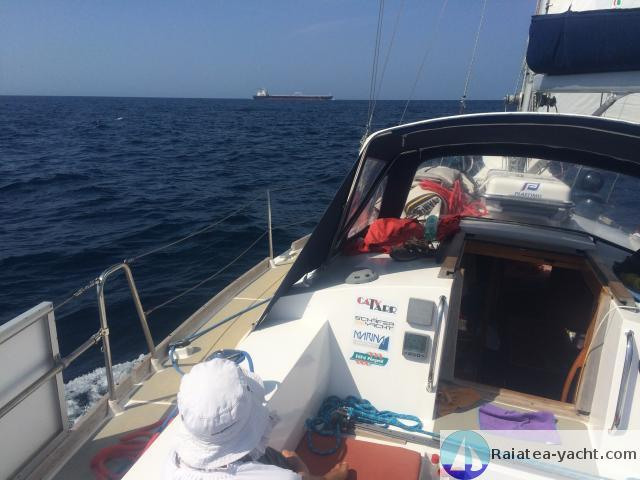 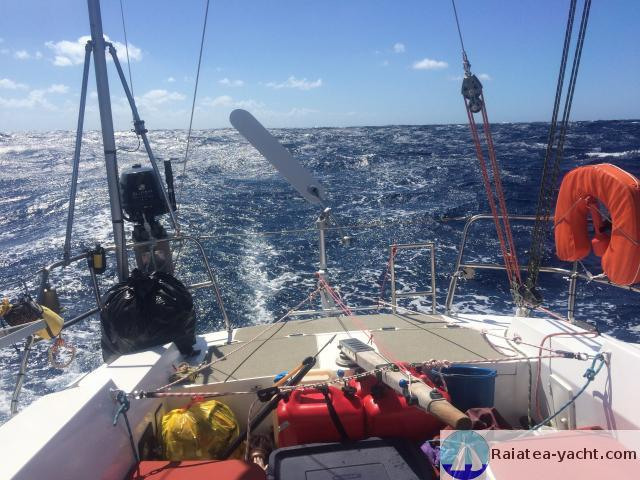 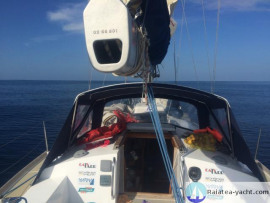 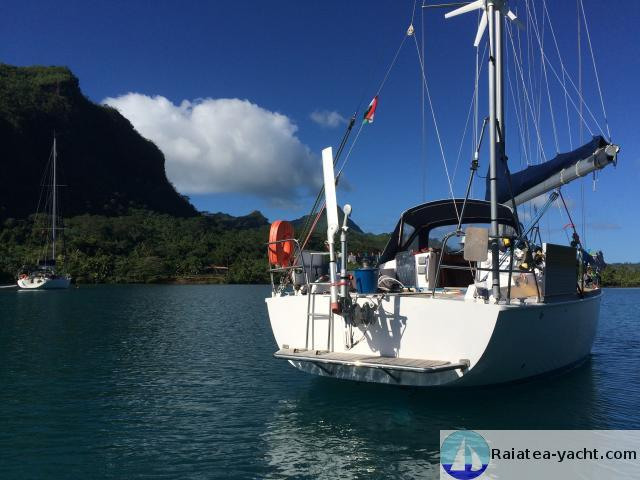 He left the Mediterranean and reached Polynesia in April, 2015, now he's sailing on up west. 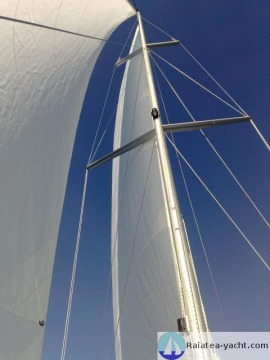 Very strong and light sailboat. 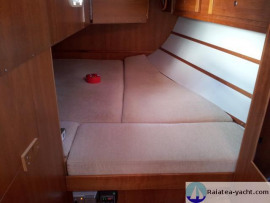 Modern hull design, high performances and good behaviour at sea. The inside is comfortable for a family.